The one thing I love about the warmer weather is that I get to wear sandals. 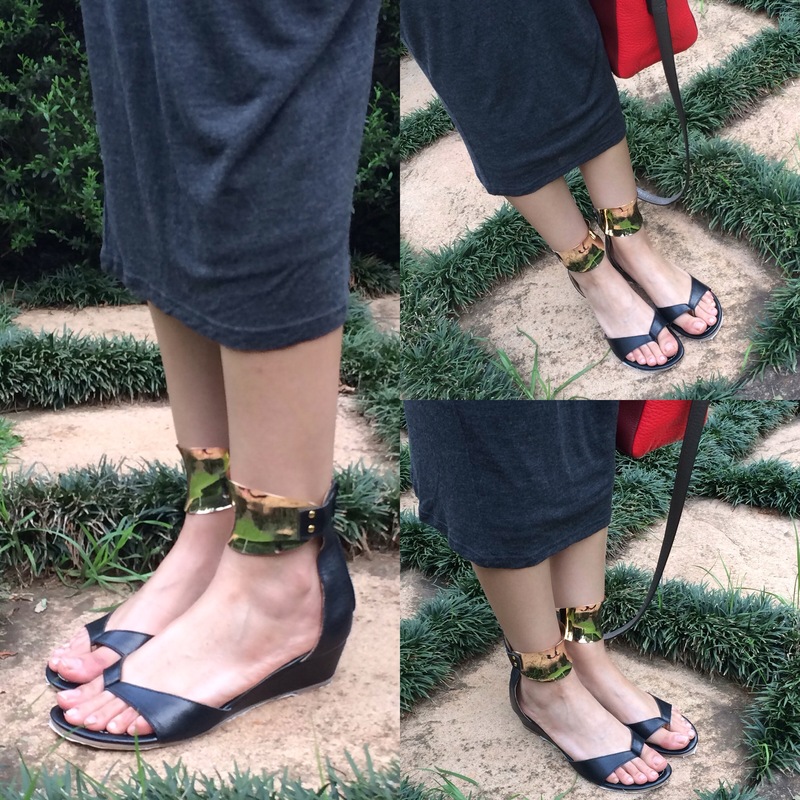 Online shoe store Strut24 is no stranger to my blog and owner and shoe enthusiast Yasmeen sent over the Mishaal sandal for me to style. So if you’re a regular on SBS you know by now that I’m a fan of the black and gold combo. But the main thing that attracted me to this beautiful piece was the thick gold ankle cuff. It adds some glam to the otherwise basic thong shape. I also like the slight wedge which is really comfortable. A lot of summer sandals aren’t comfortable but these cushioning which provides added support. The sandal is leather which will last longer than synthetic materials. When investing in neutral colours it’s good to invest in good quality materials. I paired Mishaal with a basic grey midi dress from LTD (Truworths) which I can see myself wearing really often this summer, it’s so effortless and the cut flatters my shape. I don’t think it necessary to match my bag and shoes so I decided to go with a pop of colour. This bag goes with everything in my opinion! I finished off with a chunky floral chain as my only accessory as it basically speaks for itself, and I’m not an accessory junkie.